This is a fantastic collection of video games that tickled my sense of nostalgia as an older gamer. 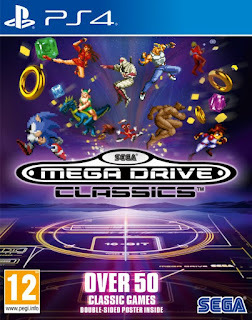 Additionally however, this Sega Genesis Classics release also provides an excellent window into gaming's 16-bit era for those who are a bit too young to have experienced that era for themselves. 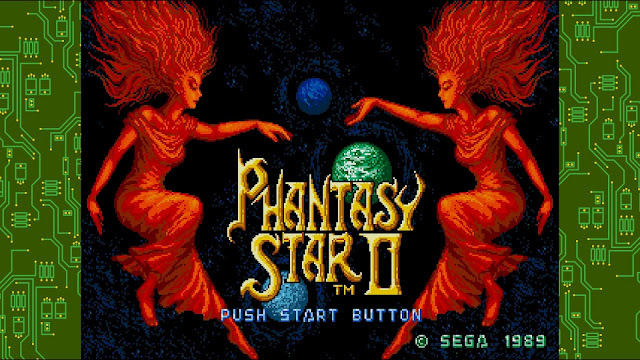 No collection satisfies everyone completely, and there are some curious omissions in this title as well, but some of the greatest video games of that era are faithfully represented and put into a single package that makes revisiting these classics a fun and convenient trip down memory lane. From the moment I loaded this collection up, I was hit pretty hard with the nostalgia. The menu is a virtual bedroom, and while it is not exactly like the one I used to have - there were enough small similarities that it still struck the right notes for me right out of the gates. My Sega Genesis was a birthday present from my Uncle Ken. He bought the system for himself a few months prior, and took note of the fact that I was hooked every time I came over to his house. 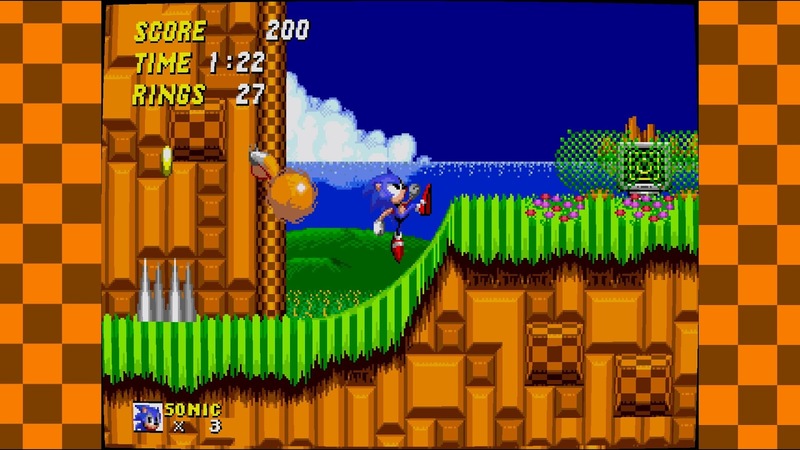 He only had a handful of games like Sonic the Hedgehog, Altered Beast, Columns and an old EA Sports Golf Game. Still, considering three of his four titles are represented on this collection, it is safe to say he chose pretty wisely when he bought his few few games and they became mine when he gifted the whole set to me a few months later. My Sega Genesis found its way into a small room where I had books on a shelf, and as I started to acquire more games - boxes began to line a different set of shelves. I was definitely one of those kids who put video game posters up on his wall, had an old television on a desk with a game console stuffed into the opening below it and had it all hooked up to an old stereo. 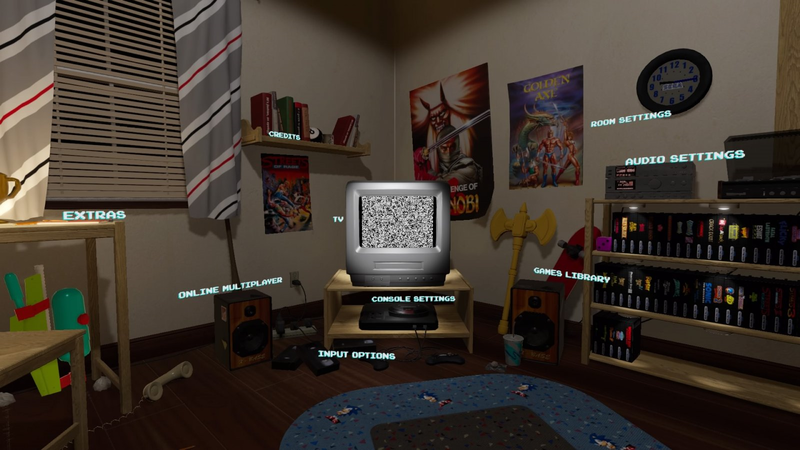 So my setup had some pretty similar aesthetics as the home menu of this compilation. So the collection of games here is massive - I'll put the entire list at the bottom of this review in case you have not yet had a chance to see it. I always enjoyed my Nintendo consoles, but when the 16-bit era hit, my donated Sega Genesis beat the Super Nintendo into my room by a good year and a half and I found myself engrossed with the tactical gameplay of Shining Force, sinking dozens of hours into the Phantasy Star RPGs, reliving quarter munching fun with my friends playing Golden Axe and memorizing enemy patterns to perfection in the Streets of Rage games. I am the target audience for this collection of titles. 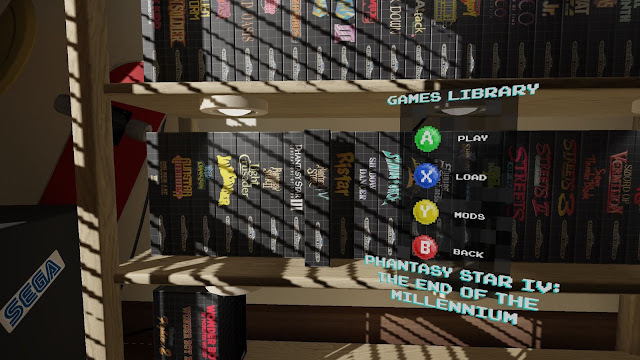 There really is no questioning that this is a fantastic collection of titles, so long as you are willing to accept that games from that era are often quite different from the ones today. They tend to have less content and obviously by comparison have lesser production values due in large part to what the hardware limitations of that era were. However, they also tend to be more challenging games with less forgiving checkpoint and save systems that required precision timing not always found in today's games (though the built-in save slots do help to mitigate these potential frustrations now). Titles like Shining in the Darkness were a ton of fun, but many of today's dungeon crawling games come with their own built-in mapping system while this game required me to sketch out my progress on graph paper. All of these things are going to come down to personal preference, but by and large, these are some of the greatest games of all time time and I appreciate how they play. Despite having such a grand collection, there are some curious selections and omissions to be had here. I get that sports games have changed a lot, but the Genesis was when the genre really found its legs and moved on from being very pixelated or stripped down in options to serving as the springboard to some major franchises like Madden or the EA Basketball games. Not having a single sports title in the mix strikes me as at least a little bit strange, though there are probably some licensing issues at play there. We get the first two Sonic games, but there have been other collections in the past that had Sonic the Hedghog 3 or Ecco the Dolphin. Virtua Fighter games in the arcade were pretty amazing at the time, but the Genesis version of Virtua Fighter 2 was clunky and forgettable and I don't think anyone would particularly miss it if it had been left off of this collection. Beyond the games themselves however, there is the matter of how they are packaged and presented that will can make or break the collection's overall lasting appeal. I really dug how the PS3/Xbox 360 Sonic Collection had some cool features like the interviews (though the resolution on them was pretty rough around the edges at times), filters and perhaps coolest of all - unlockable Sega Master System / arcade games. Unlocking Golden Axe Warrior, Phantasy Star or the arcade version of Shinobi made for some fun surprises and added more content to an already awesome collection and I was a little disappointed not to see those features in the Sega Genesis Classics collection. There is also an interesting new feature called Challenges. The idea behind these is that you are placed in a particular situation and if you can best it, you beat the challenge. Some examples include starting a game of Columns with the board about half-filled and a goal of earning 5,000 points before losing. Another is in Golden Axe where you are pitted against the second boss and his two skeletons. The challenge sticks you with a set character, some loss of health, no spare lives and no magic. Obviously these are indeed meant to be a challenge. Certainly some are easier than others, but some creativity went into them, and I can appreciate that as almost all of them are difficult, but few felt truly unbeatable. That being said, this collection of more than fifty titles is no joke, and there are some pretty significant new features that have been added that should add some longevity to this release. I love the addition of online multiplayer. Games like Streets of Rage have always been more fun with a friend, but as couch co-op has given way to moving to cities and states well apart from my childhood friends, it has been a lot of fun to fire up a few of these classics to play with them online and rekindle some multiplayer memories. There is a new mirror mode as well, and it is exactly what it sounds like. They essentially flip the title horizontally. Now, you cannot play an RPG this way, nor would you really want to. 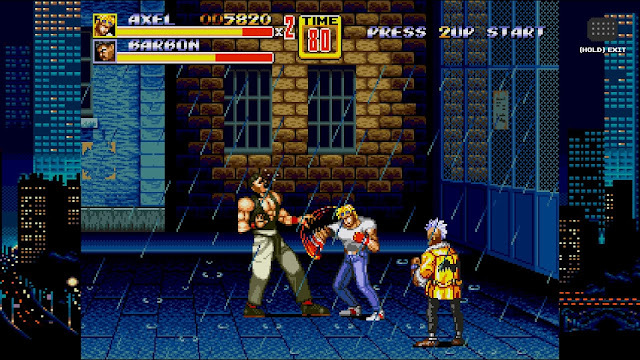 However, I was surprised how easily my muscle memory picked up action based titles like Streets of Rage 2, Sonic the Hedgehog and Alex Kidd in the Enchanted Castle. It only took a couple of minutes to start pounding through those games that I had memorized from start to finish years ago. However, flipping the screen orientation really challenged my reflexes in a way I did not expect, adding some unexpected life to games I had long ago mastered. These two features go a long ways towards providing longevity to this collection. 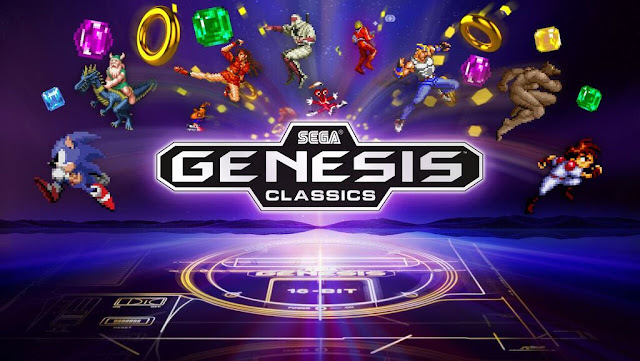 With dozens of titles to choose from, many of which rank among the best in video game history, the Sega Genesis Classics delivers a lot of bang for your buck. 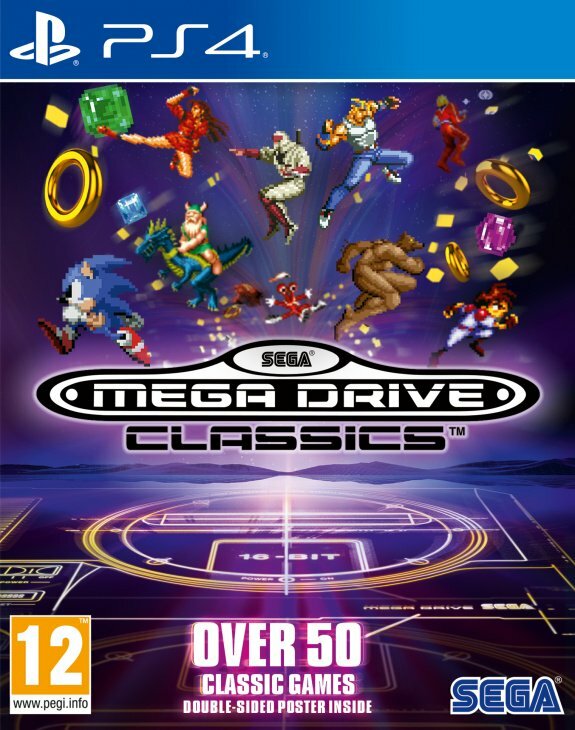 This collection rightly hangs its hat on bucket loads of nostalgia, but some nice new features make this more than just the repackaging of older games I have seen in other compilations over the years. I could nitpick about a handful of titles that should have been here and some that might as well have been left off, but this is a collection of games that is definitely worth playing.